"Pit bulls aren't bad dogs. It's all how you raise them." We've all heard and seen this so many times. Most of the time, it's said by people who are trying to defend pit bulls, or try to explain why some pit bulls are so good, and some, unfortunately, do really bad things. There is of course truth to the argument that how they're raised affects dogs, in that if a dog is abused he or she may be more likely to be afraid of or reactive to people, especially to the type of person who abused him (this often displays itself as a fear of men). It makes sense–if you get kicked in the ribs by every man you walk by, it would serve you well to start being afraid of men. This is sadly what happens to many dogs out there, to rescue dogs and to purchased purebreds. But I wholeheartedly believe that both people and dogs are also so much more than how they are raised. Dogs especially are the most resilient, forgiving creatures. And that's why I can confidently say that I believe it is not, in fact, all how you raise them. The age old debate is nature vs. nurture. I believe both play a huge role in how both people and dogs behave. I've seen dogs with horrific histories be amazing companions (more on my 3 of these later), and dogs who've never experienced a day of hardship just have a screw loose. I've also seen abused dogs with a myriad of issues, and breeder dogs turn out to be excellent pets. This brings us back to our first blog post in this series: all dogs are individuals. There is no 1 thing that determines the dog in front of you. Breed, experience, genetics, socialization, medical status, and hundreds of other small variable factors come together to make up that individual, exactly the same as people. I hesitated to include the following quote, because I do believe that a) pitbulls should not be thought of as different from any other type of dog and b) the myth that every pit bull type dog with scars/the perceived prevalence of fighting dogs and bait dogs (which will be it's own blog post) is way over perpetuated, and it does a lot more damage to pit bulls than it does good. But I think it's a great quote to show how forgiving dogs that actually do come from this situation can be. It's from a chapter of Pitbull: The Battle over an American Icon where Bronwen Dickey speaks with Randall Lockwood, of the US Humane Society. Over the years, Lockwood estimates that he has evaluated more than seven hundred pit bulls seized in fight busts and cruelty cases, and he has never been bitten. "I still have all my fingers," he said, smiling and waving his hands in front of his face. 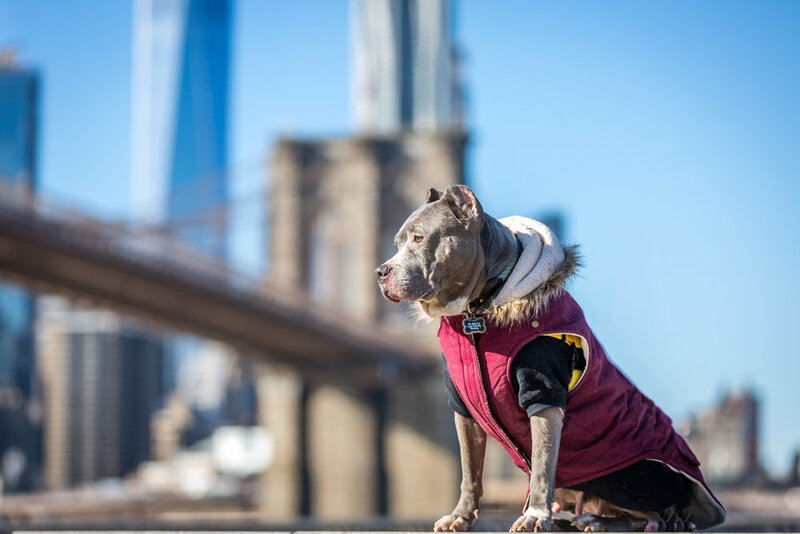 Of those seven hundred pit bulls–highly stressed dogs all born and raised in the most hellish of circumstances-he said, "we've seen maybe three that we were a little uncomfortable with in terms of direct aggression toward people." Besides babesiosis, a parasitic blood infection often seen in fighting dogs, the most common health issue his team confronts when handling pit bulls from fight busts is "happy tail," an injury caused when an excited dog whacks its wagging tail so hard against a hard surface that the impact breaks the skin. I have 3 dogs of my own, as you know. The youngest I adopted one of them was 8 months old (LooseSeal). Penny was 3ish when we got her, and Gert was a solid 11 or so. I didn't raise any of those dogs, but I can tell you that their pasts were not as good as the present, at best. There's of course no way to know for sure, and I certainly spend a lot of time speculating, but let's look at what we know. Penny was an owner surrender to the public animal control around Christmastime 2014. She was fully grown and weighed 34 pounds. 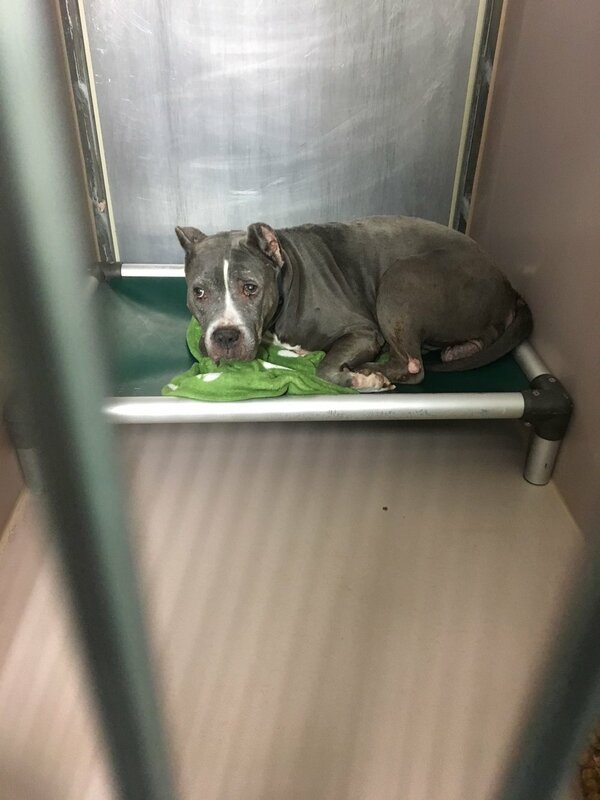 She was completely shut down, and so hungry she was eating anything she physically could in her kennel, including her paperwork and the clipboard it was on. When she got to us, she wolfed down her food, and panicked every time she was left alone. Is it possible this separation anxiety was inherent, or that it developed after the shelter? Definitely. But multiple vets and some research I've done suggests that she was likely neglected for long periods of time, and her curved spine and bow legs suggest she was kept in a small area. I didn't raise this dog, and she certainly wasn't treated the way she is now. But she has never once shown aggression to a human. She has never snapped or growled if we wake her up from a deep sleep, if we try to take her food away, if I reach into her mouth to remove a piece of toy or chew. I didn't raise this dog, and she is wonderful. LooseSeal was found as a stray almost exactly one year ago and brought to that same shelter in August 2017. She was 8 months old, and as anyone who has experience with dogs will tell you that is certainly old enough to leave a lasting impression on a dog and way past the "ideal socialization window" in puppies. She had huge round bald patches all over her body, from malnutrition or from an infection, we have no idea. She was not house trained and was (and still is) afraid of being pet over her head. She didn't bark, and she didn't understand toys. But she has never once shown aggression, even when she's scared. She has never growled (other than playfully) at a dog, person, or other animal. She is awkward and weird and makes bizarre noises and is afraid of the wind (who knows why?). But she is also the kindest soul I've met. I didn't raise this dog, and she is wonderful. 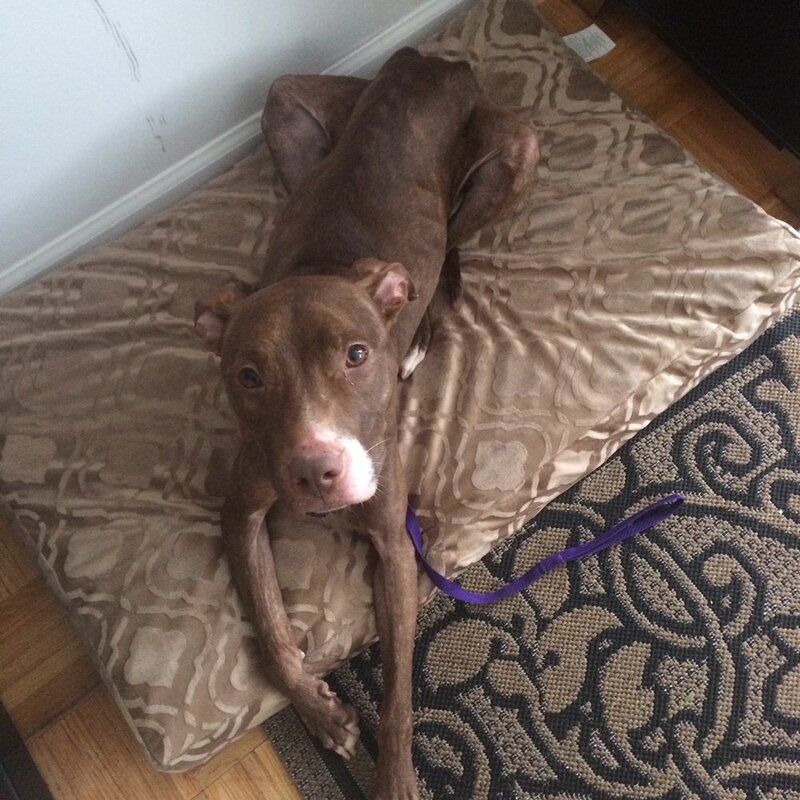 Gertrude was an owner surrender to the very same shelter in December of 2017. The paperwork says she was found in a park 6 years ago, and her estimated age is 11 years old. She has scars all over her face and arms- this is pure speculation, but if I had to guess I'd say it was from getting into scraps with other dogs over resources, like food and water, or breeding access. She has had dozens of litters over her lifetime. She has old ACL injuries in both back legs that were never taken care of, and bad arthritis in her hips and front wrists from over-compensating. And yet, she is perfect. She sometimes gets nervous if dogs come near her food or toys, but mostly she is happy to take treats next to them, lick from the same peanut butter spoon if I'm holding it, and even play tug. She lets us take chews right from her mouth, and through all of her surgeries and procedures has been so sweet to us and to all of the medical staff. This dog did not have a good life. And I did not raise her, at all, even a little bit, and she is absolutely wonderful. Follow any rescue dogs on instagram and you'll hear a similar story. Some dogs have pasts that haunt them in ways (resource guarding, fear of or aggression toward new dogs, under socialization, fear of men, etc.) but based on what their pasts may have been like, these dogs are so unbelievably forgiving. I dare you to find a human who has gone through so much and come out the other side trusting, loving, and carefree. And yet that's what rescue dogs do every day, as much as they are capable of. It is such an amazing, incredible, beautiful thing. As Rebecca Corry says, they are born #inherentlygood, and most dogs stay that way despite what life has thrown at them. I am in awe every day of their spirits, and have changed my own personal way of thinking based on this. I try to forgive as much as I can, always trying to remember that holding onto the past hurts only myself, and to live with a heart open to trust and new beginnings. Thank you for your time and attention, and for advocating for rescue dogs.